Robert Lowe and Dan Hayes from Connecticut have been fishing Eagle Lake for over 40 years. 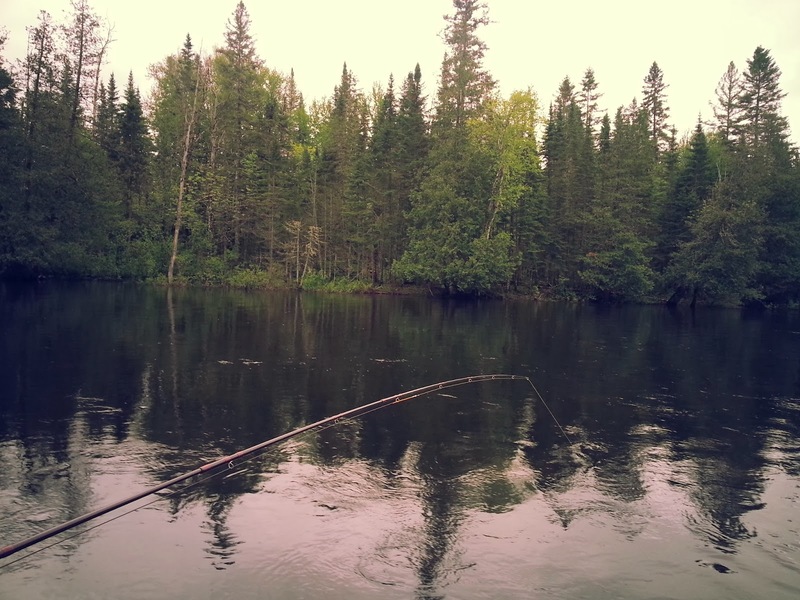 Although they visited the site of the Eagle Lake Sporting Camps many times over the years while fishing and camping along the thoroughfare, 2013 was the first time they made the camps their destination. 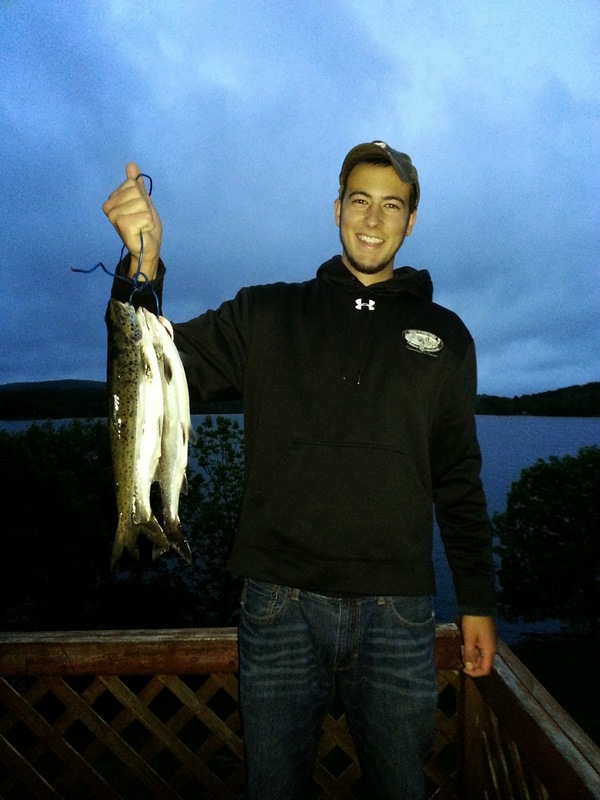 Both were rewarded with the best fishing they had ever experienced around Eagle Lake. The two are shown at the left holding the original propeller from the inboard Gray Marine boat engine. The boat now rotting away near the thoroughfare transported guest to the camps from the 1930's. 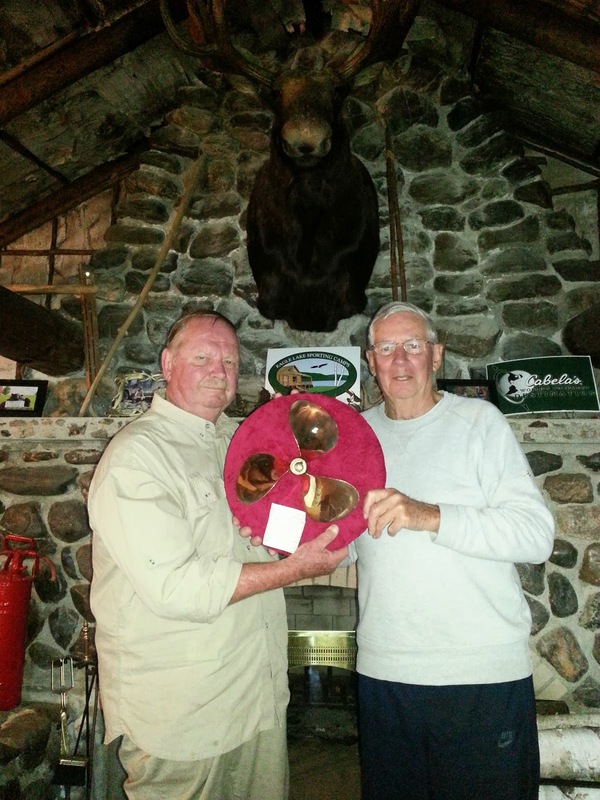 The propeller was recovered and carefully restored and displayed in Connecticut until returned to its home when Bob and Dan visited.